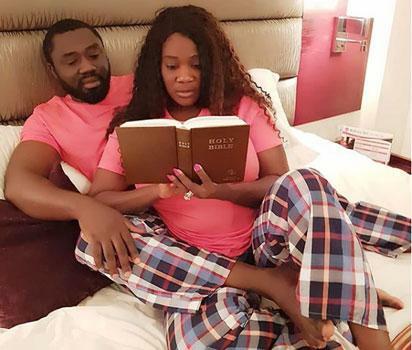 Nollywood actress, Mercy Johnson, Monday, entered the searchlight of some news media after she allegedly deleted from her Instagram page all pictures she took with her husband. Although many fans of the actress have disproved a possible marital crisis in the actress’ home, others, however, have speculated that the development suggest a problem. Mercy Johnson deleted all pictures and videos that featured her husband. Recall that before the latest move, the actress was wont of uploading pictures and videos showing her husband and her in a lovely union. However, the actress who equally took to her Instagram page to react to the news which is now viral, posted a picture of her with her husband and said it was nobody’s business what she did with the pictures on her Instagram page. Also to her rescue are her fans who urged her not to mind gossiper whom they said must always say something regardless of whatever anybody, especially a celebrity like her, does.